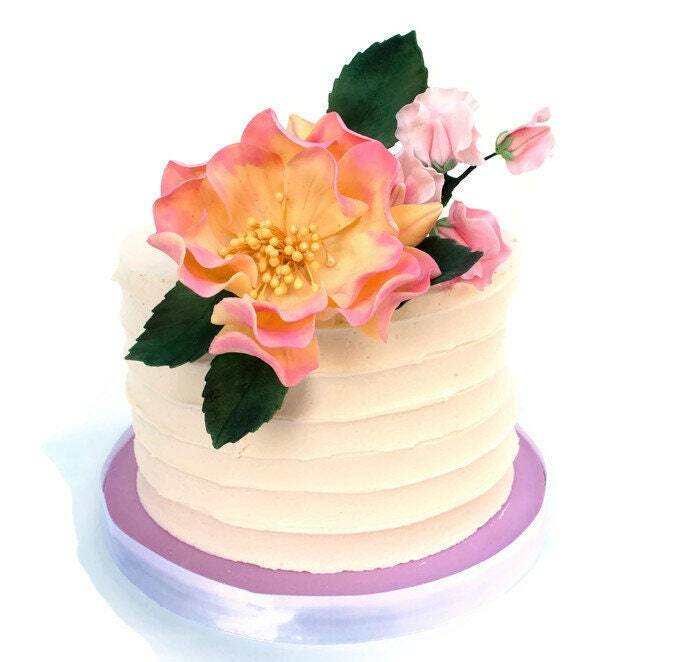 This sweet little cake topper is shown on a 6" buttercream cake. It features a medium sized open rose in yellow with complimentary pink accents. The rose measures about 3.25" across. Also featured are 1" sweet peas in shades of pink, dark green rose leaves, and a couple of little flower buds peeking out. This arrangement is shipped to you in individual pieces, and can be arranged however you like on your cake. 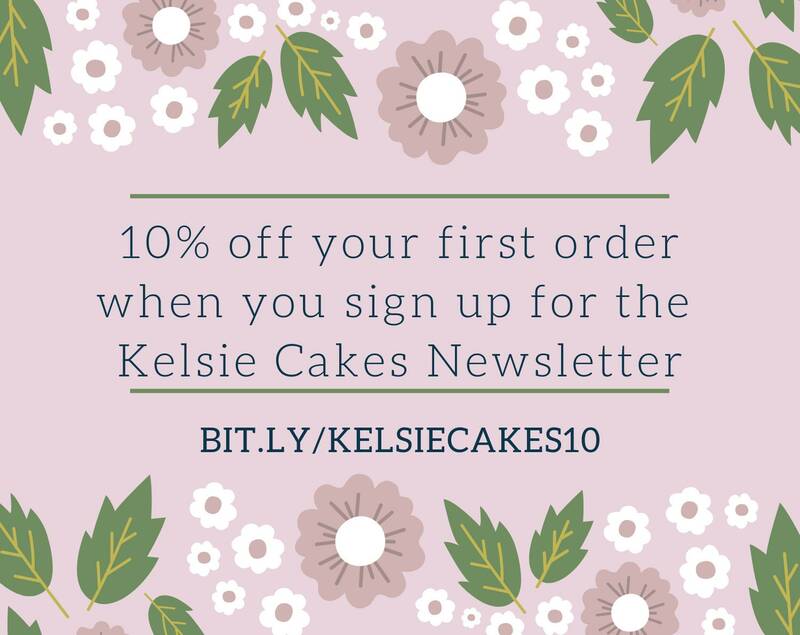 Because this is a custom, made to order listing, I can create your flowers in any color, and if you would like me to quote you for a cake topper with different flowers, please send me a message! 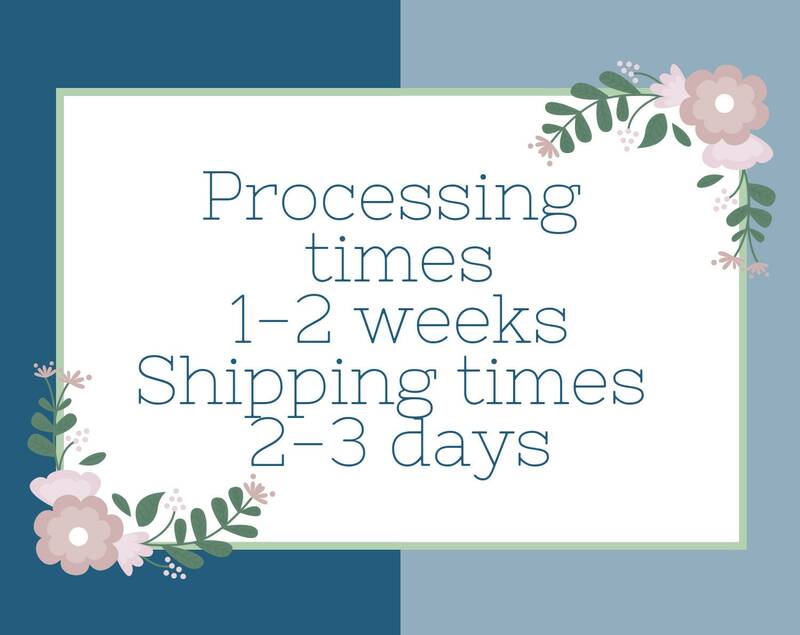 This listing takes 2-3 weeks to create and 1-3 days to ship. If you need rush shipping, please contact me with your event date so I can try to accommodate you. Colors may vary slightly based on computer or phone screens. Cake not included. This cake topper is absolutely gorgeous. The colors are lovely and it is very well made. 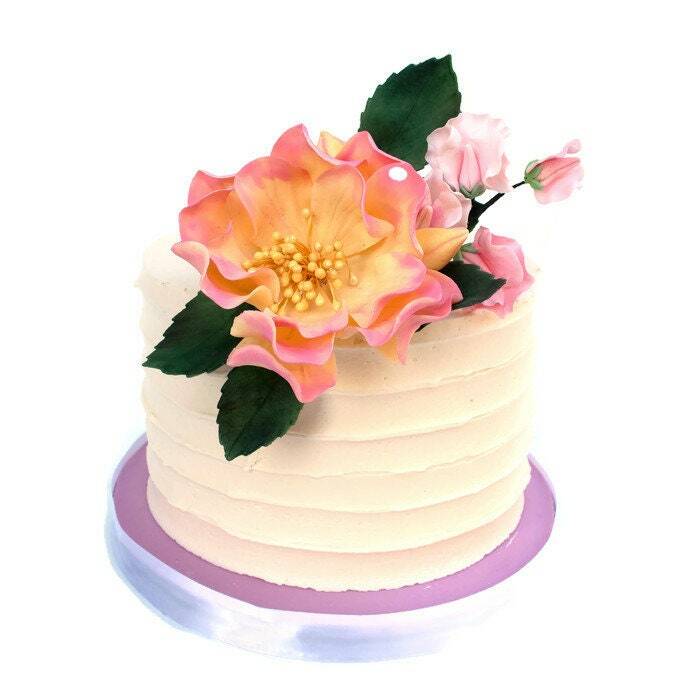 I am looking forward to decorating a birthday cake with it and the additional flower that I ordered to compliment it. Thank you Kelsie.